Imagine you’re telling your friend you’re a baker and you don’t have any springform pan in your kitchen? No, simply you are not a baker without a springform baking pan. This springform pan set isn’t just only bring you one size of the pan but 3 sizes. So you not just can make and rounded cake, you can open a whole new world of baking. 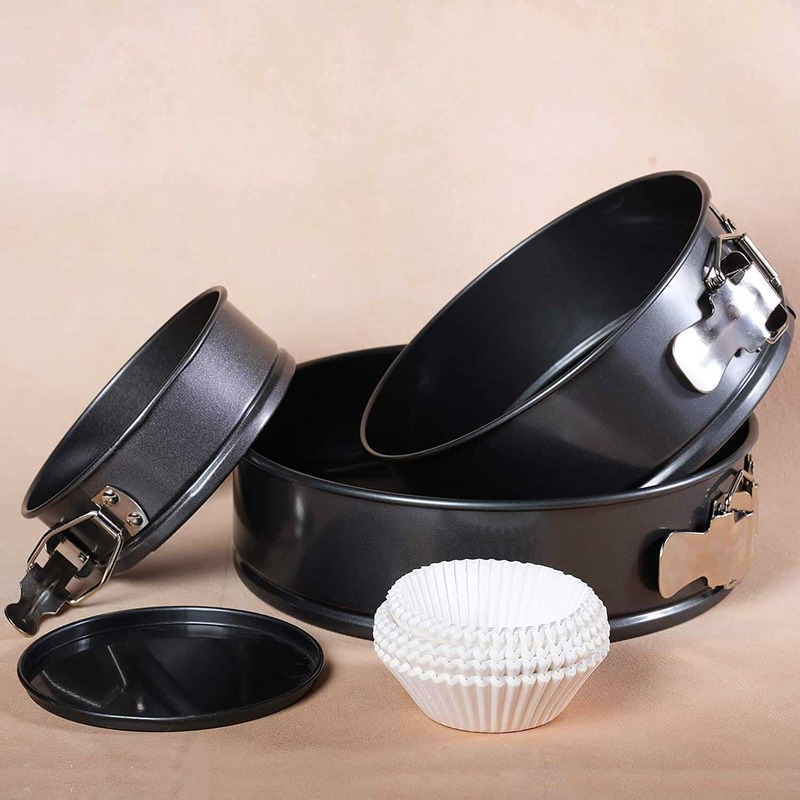 Think about the 3 layers cake, wedding cake and many more possibilities with the pan set. 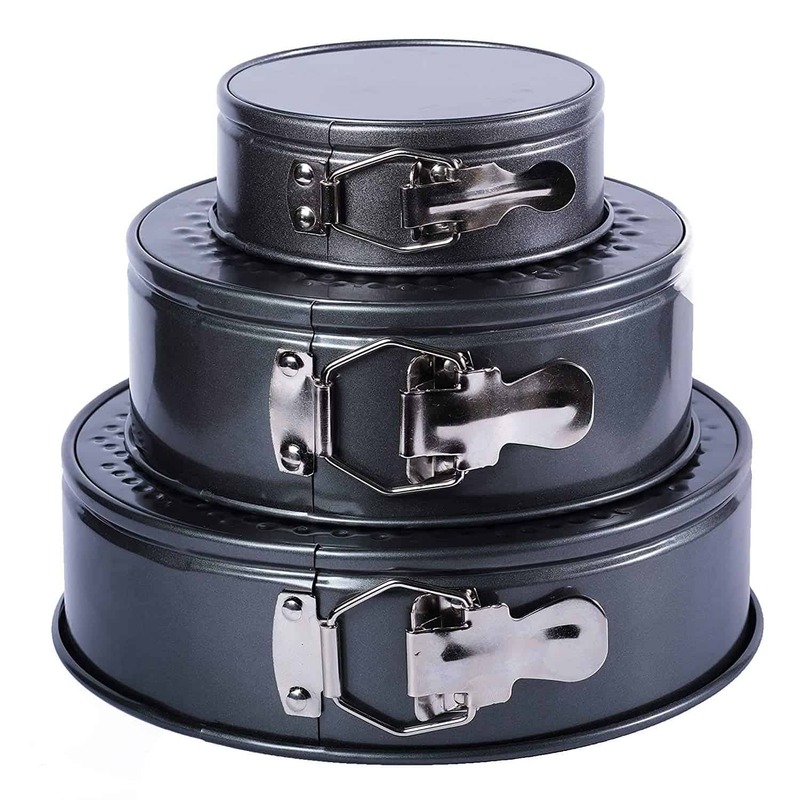 Not to mention, you also save money with this set, it’s even cheaper than you buy 2 pans separately. 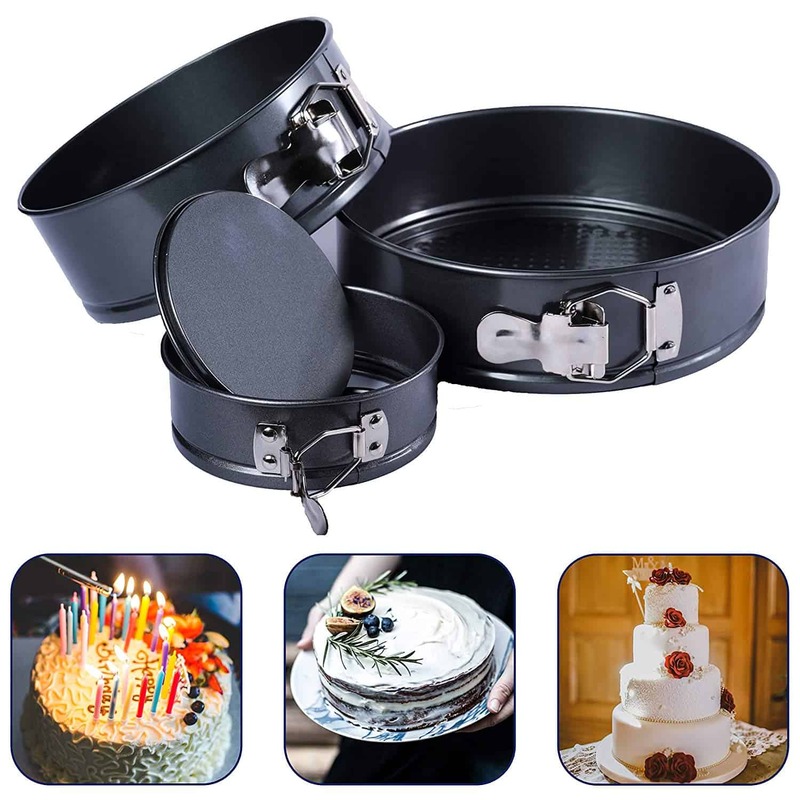 Why not give this baking pan set a try and invite all your friends to taste how delicious the cake can be. Surprise them! Whether you are a professional baker or just love baking we know you want and deserve the best and we have got you covered. 100% Satisfaction Guarantee! 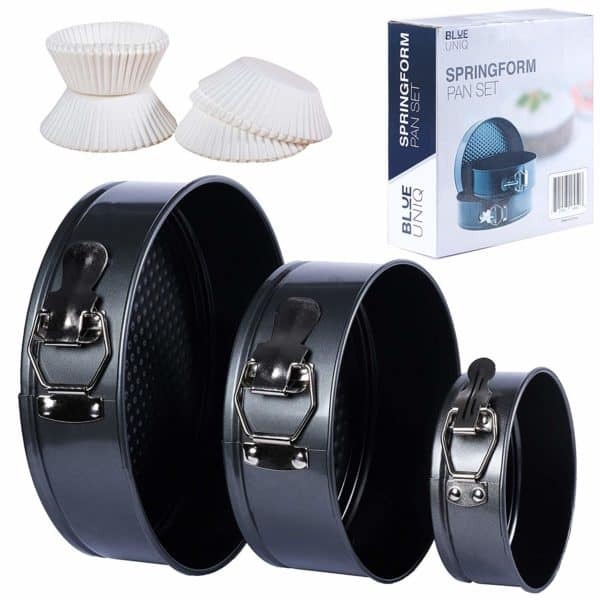 This springform pan set is not only backed by 30 days money back guarantee with no question asked but also a 1-year free replacement warranty.